Although a few players prefer a whippy mallet and some extra stiff, I firmly believe that polo mallets should be stiff at least in the top half to three quarters of the shaft, with a little bit of flex at the tip. A good mallet should feel like an extension of the arm and not feel too heavy to flex from the wrist. With the predominant use of plastic balls, I believe that few mallets or players require heads weighing more than 205 grams. The overall weight is just as important. Composite mallets can therefore easily use heavier head weights than cane mallets whilst maintaining similar overall weights. Recent discussions with several 10 goal players in UK revealed a distinct trend towards lighter mallets with overall weights of no more than 530 grams. 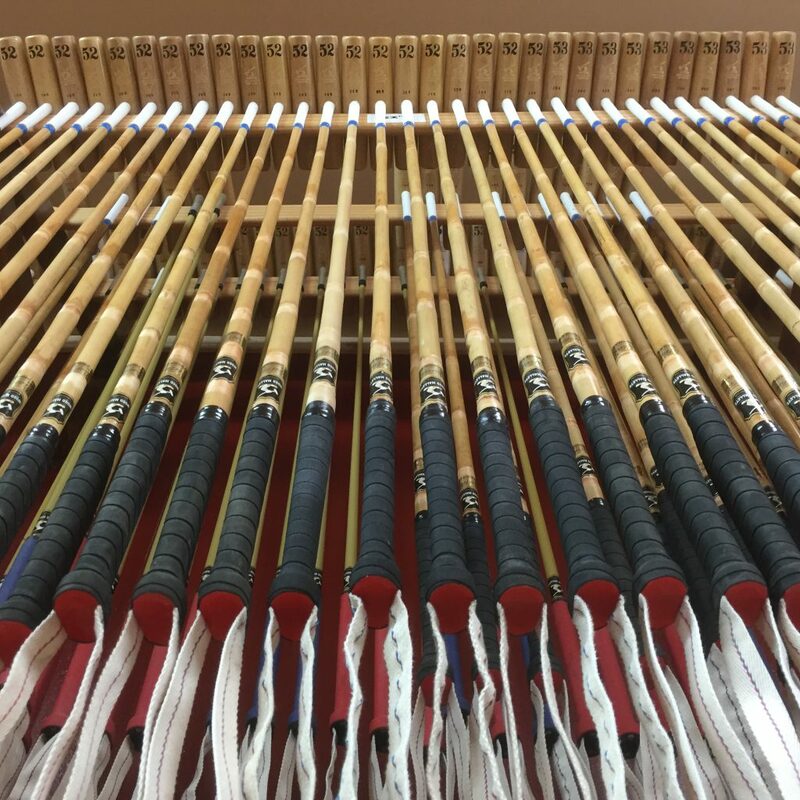 Many of the requirements for a polo mallet depend upon variables such as the strength and size of the player, size of the horses, hitting style, even different playing positions and ground conditions require different types of mallets. For this reason it’s important to consider the various options and have mallets custom made to your exact requirements. 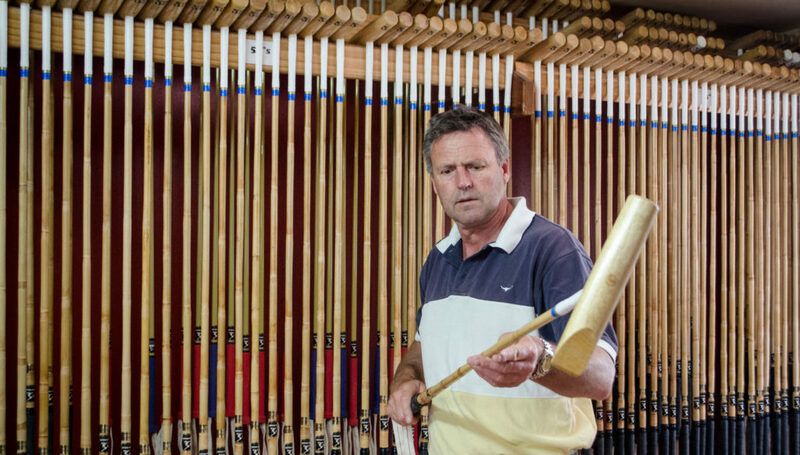 The world’s supplies of “good” quality canes available for polo mallet manufacture are rapidly dwindling. The quality of cane polo mallets has noticeably deteriorated over the past few years. Many mallet makers now use an inferior species of cane which don’t have the density of manau cane. They therefore tend to break much more readily. I’ve personally selected enough good quality manau canes from Asia for our own use this year. However it future supplies are becoming increasingly uncertain. Although I understand the reluctance to change over to composite shafts for those who have become accustomed to the inconsistencies of canes, I firmly believe that our latest composite mallets have huge benefits over others. They’re incredibly powerful and generally last longer than other types of mallets. Despite rough treatment they retain their shape and they never “wring”. Perhaps the greatest attraction is the consistency which is not possible with canes. They have an increased sweet spot, minimal vibration and a revolutionary molded handle for comfort, grip and long life. Not surprising that our sales continue to increase year after year. Like tennis racquets, fishing rods and golf clubs, polo mallets can be much better when made with composite materials. Over the past few years a radical new concept using a short length of cane fitted to the lower section of a Fibercane shaft. They have the advantages of a lightweight and consistent shaft but feel like cane and can be repaired like cane mallets. The actual joint is surprisingly simple and yet strong. A 10 mm hole is drilled 4″ into the end of a 16/17 mm diameter cane and the shortened composite shaft is then glue in with epoxy adhesive. A couple of wraps around the cane with filament tape ensures a strong joint. This is a great concept to use when repairing broken Fibercane shafts. Arena and snow polo is all about quickness to the ball, control and accuracy. 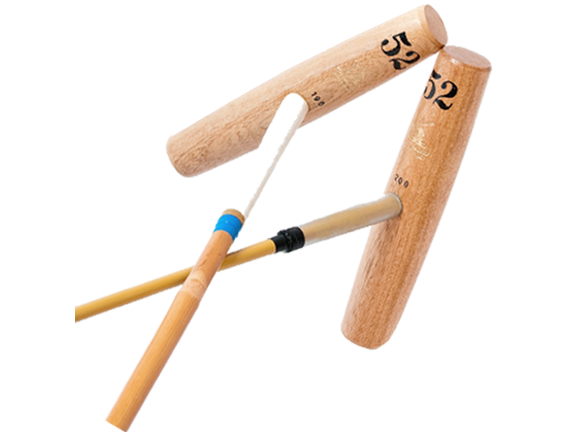 Mallets tend to be lighter and stiffer, with slightly larger handles. Custom made slightly stiffer Fibercane shafts are ideal. Also to strike a larger inflatable ball it helps to have a larger diameter lightweight arena head. See heads. In Europe, the vast majority of arena players use Fibercane Arena mallets. The most popular length is 52” followed by and 53”. Head weights range from 160 grams up to 205 grams and over. For beginners of medium build I recommend neither extreme, perhaps 185-195 grams balanced on a medium stiff shaft. If you have less than average wrist strength, there’s no point in going in the field with a mallet that’s too heavy. If the mallet is too light, shots will become forced rather than timed. Choose a head weight which is not too tiring to use but which can help create the classical pendulum swing. Remember, it’s in the timing, let the mallet do the work! If using different lengths, I recommend reducing the head weight by at least 5 grams for each extra inch in length to maintain a similar swing weight. For example a 52” with a 195 gram head has a similar swing weight and feel to a 53” with a 190 gram head and a 51” with a 200 gram head. If the handle’s too small, it’s likely to spin in your hand. A larger handle gives greater control and less strain on the arm. About 60% of players find that the medium size is OK and 30% go for large. If you don’t know what length mallet is right for you, the best thing to do is get on the horse you’ll be using and sit as if striking the ball with your arm straight down. Use a long stick to measure from the ground to the top of your palm. The measurement in inches will be a pretty good indication as to the most ideal length. If you’re still unsure and need help deciding what is the right mallet for you please email me with a plenty of information. I.e. Your ability, wrist strength on a scale of 1-10, handicap level, type of polo played, etc. Should I use Cane or Composite polo mallets? This is one of the most often asked questions by our customers. As we make both cane and composite mallets, we’re unbiased as to which we should promote. Many players wouldn’t dream of using anything but canes. That’s beginning to change. As the worlds tropical rain forests continue to diminish, the selection of good canes becomes harder and harder. The quality of cane mallets is decreasing quite noticeably with many manufacturers now opting to make mallets from inferior species of cane. The days of cane mallets are numbered. The Fibercane mallet is such a vast improvement over canes in every aspect that there’s simply no point in going backwards. For players wanting a light weight shaft and all Arena players, we recommend the Fibercane. The main factor to consider is the height of the horses to be played. 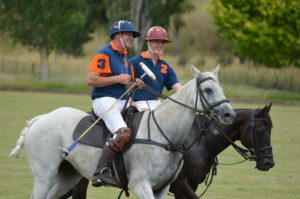 The average polo pony is 15.2 hh and the most popular length by about 65% is 52”. Arm length, hitting style, and even horses gait also have a bearing on what is the most appropriate length. As a rule of thumb, if your average horse’s height is 15-15.1 hh then 51” might be the best length to stick to. Similarly, for 15.3 -16hh horses the average person finds that 53” may be more suitable. Many people will use two or more different lengths depending on the horses they’re playing. Which head weight is best for me? Head weights vary enormously. The lightest heads available start at about 160 grams. If you have a problem with physical strength, then use a mallet which causes less strain and will be more maneuverable. The distance you can hit the ball comes down to timing, not strength. The very light heads are perfect for children and people of light build. We do not recommend these for players of average strength. With Fibercane mallets, the shaft is much lighter. It’s therefore quite possible to use a heavier head than one would use on a cane and yet maintain a lighter overall weight. We consider anything between 175 and 185 grams as being medium light. We balance the overall weight of the mallet to the head weight so in effect, a mallet with a head weighing say, 10 grams more than another, will actually weigh some 20-30 grams more overall. The average player uses a head weight of between 185 -200 grams. With plastic balls, there is little need to use over 210 gram heads, although many mallet makers ignore this and don’t appear to weigh the heads. To maintain a similar swing weight on different lengths of mallets, the head weight should be decreased by approximately 5 grams for every inch of increased length. For example, a 51” with a 200 gram head will have a similar swing weight as a 52” with a 195 gram head and a 53” with a 190 gram head. What type of head is best for which conditions? We make various different patterns of mallet heads. However the majority of players stick to the cigar pattern as the best all round style. The type of head used by a number one player obviously has different requirements to that of a back. Most of the time, the importance to a number one is not distance, but accuracy. Therefore a lighter cigar head may be preferable. A back on the other hand, will be expected to hit long, high hit-ins off the back line. For this, a slightly heavier head with a slightly flattened underside should be considered. The RNPA pattern head is rarely used as it’s really only suitable for hitting a stationary ball on perfect grounds. Most of the time in a game, the ball is moving and the cigar pattern is the most appropriate. Our new Mango wood heads have been hugely popular and are available in a complete range of weights. We fit Mango wood heads as standard to all orders unless specifically requested otherwise. Polo mallets used solely in Arena polo have a completely different set of ideals. They should be stiffer, lighter and the head should be considerably larger in diameter to keep the inflatable ball from wrapping around the shaft upon impact. We make an Arena head specifically suitable for Arena polo in Cigar, RNPA, Skene patterns. Which size handle should I use? As each cane mallet is made by hand and usually to order, we can make handles exactly to your requirements. Unless otherwise specified handles are shaped to a positive Argentine style shape with flattened sides. Small handles are only recommended for players with very small hands. Medium or large handles suit most players and this comes down to the size of your hands and personal preference. Handles that are too small are much more likely to spin in the hand with off center shots. This applies particularly to arena mallets. Larger handles also reduce strain on the wrist and increase accuracy. The new molded handles only fit the Fibercane polo mallets and are available in two sizes, medium and Large. They are simply the best polo mallets handles ever made. Can I choose how much flex I want in the shaft? We used to colour code each shaft depending on the amount flex. However, this led to several mallets being ordered which were never well balanced. I believe that a mallet should be reasonably stiff at the handle and allow for a small amount of flex near the tip. We balance individual mallets to a med/stiff flex (Unless otherwise requested) Lively is a little softer for players who prefer a more lively mallet. The type of shaft suitable for lightweight heads has a completely different flex and weight to one used for a heavy head. There are several players who find that a more flexible or even stiffer shaft works best for them. We are happy to accommodate upon request. How should I care for my polo mallets when not in use? Hang your cane polo mallets from either end. Preferably keep them dry and out of the sun. We seal the timber with a two pot urethane before applying an anti-wear strip to the hitting surface. Check to ensure that this doesn’t wear through after several months play. A new strip of duct tape or a few coats on varnish can prolong the life of a head especially if used in wet conditions. The new molded handles allow for the sling to be replaced whenever necessary. Simply unscrew the two steel screws in the end cap. Replace the sling whenever signs of wear appear. 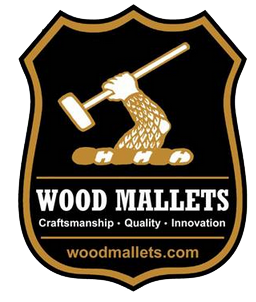 We can usually deliver mallets made exactly to your specifications anywhere in the world within a week.